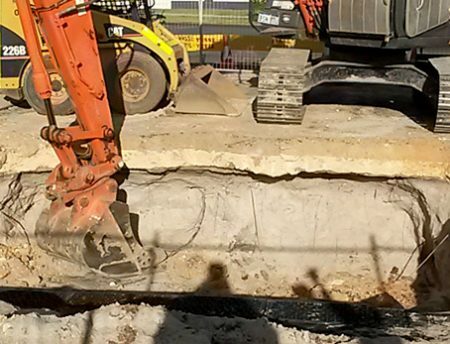 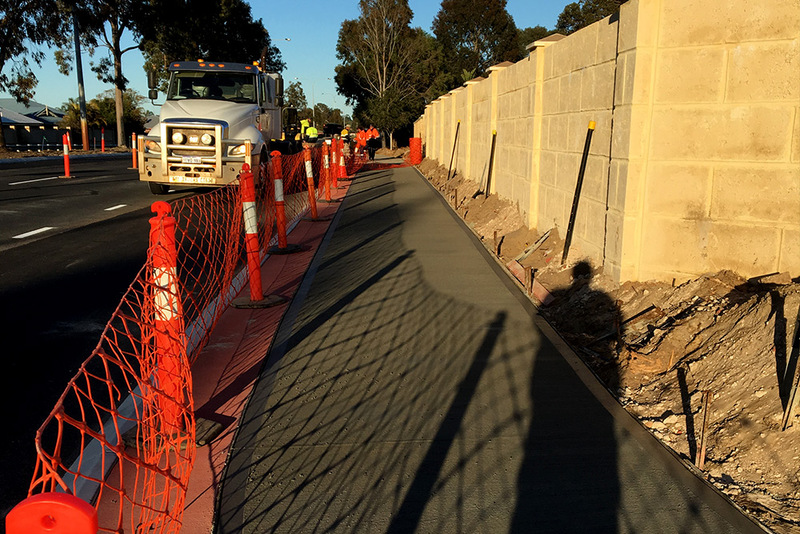 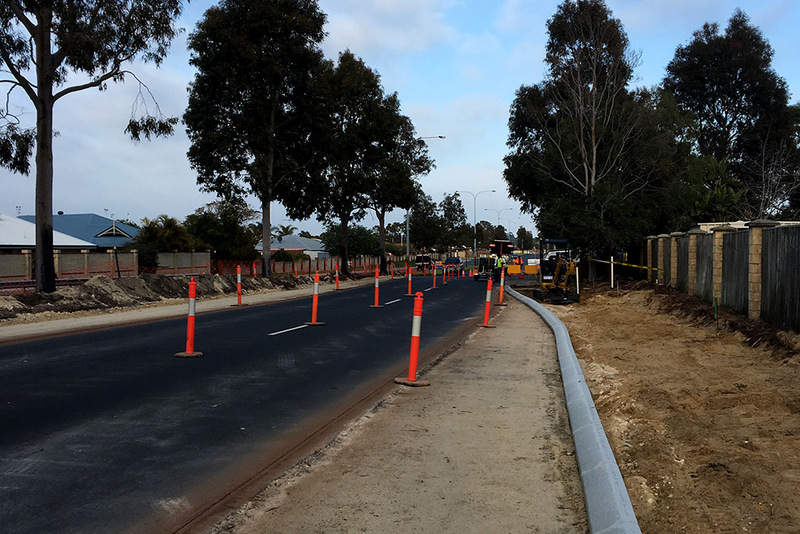 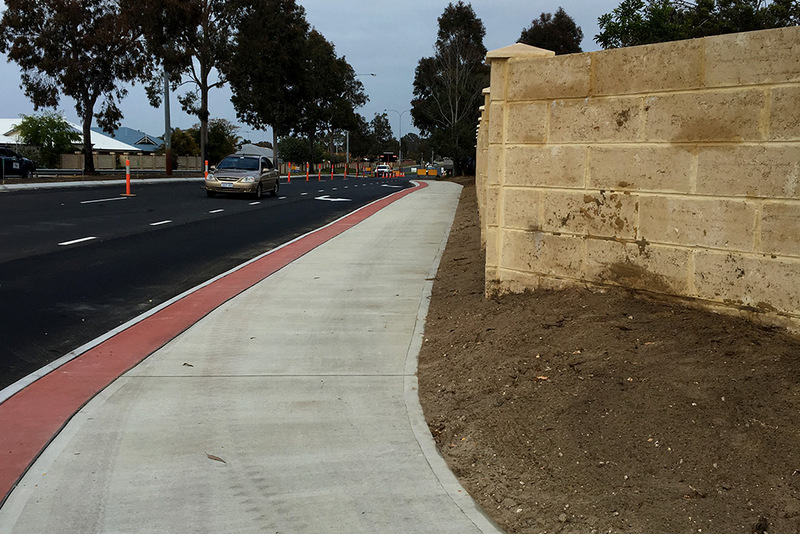 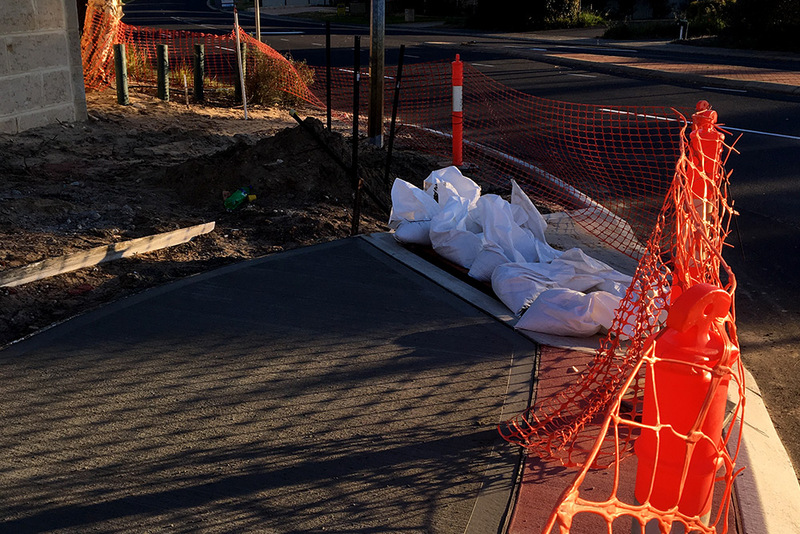 Leeuwin Civil were engaged to carry out upgrade works to improve safety at a notorious black spot location at the highly trafficked intersection of Eaton Drive and Glen Huon Boulevard. 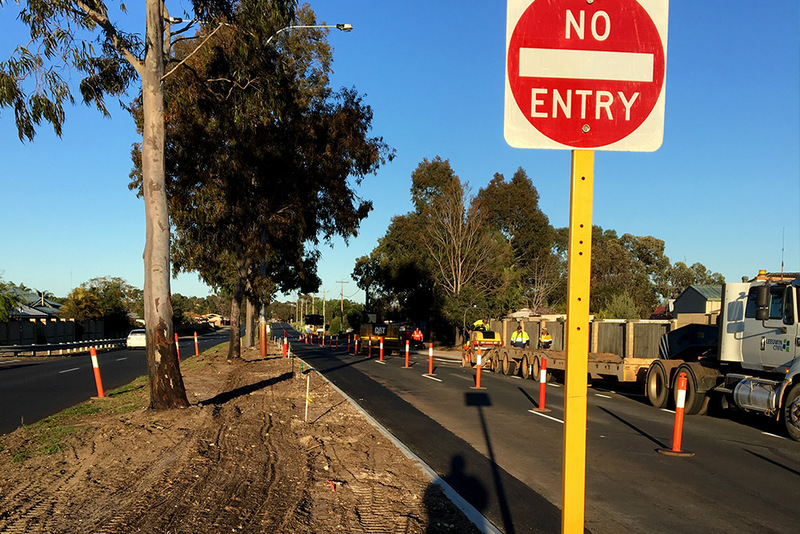 Works included construction of a turning pocket on the eastbound side of Eaton Road to accommodate traffic turning into Glen Huon Boulevard; and the modification/construction of median islands for turning out of Glen Huon Boulevard onto Eaton Drive. 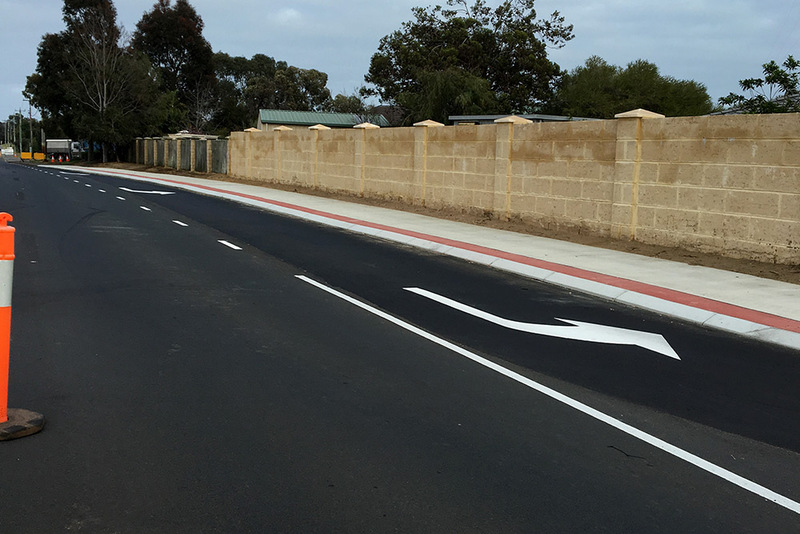 Works also included brick paving within existing medians and line marking, all whilst under extensive traffic management.